Stoompa has a nice view towards Magnetron North and I believe it must be done in loop walk with reaching Mangeron North as this allow to see Stoompa from another site. Start with the normal route up to Mangerton and at the hight about 210m take a heading east toward the Horses Glen. This part might be a bit wet. Pass the stream – it seems to me that the best place is near lake Garagarry and fallow the slope to the top. 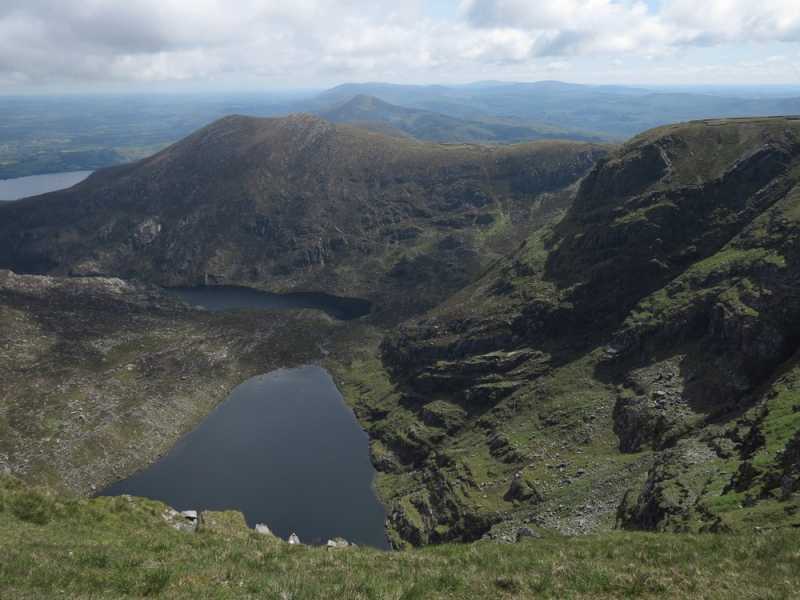 Stoompa has a great views behind over Killarney town, Muckross and the Lakes to the NW and W, with the Paps, Lough Guitane, Crohane and the Derrynasaggart mountains to NE, E and SE.